Randi from Randi's Lille blog. Pokukajte k njej, ne bo vam žal. Welcome to another As You Like It Challenge. Our theme is Favourite "Flowers or Trees" and don't forget to tell us WHY this are your favourite ones. I love Wild Orchid Crafts flowers they are simply beautiful and make cards really special. 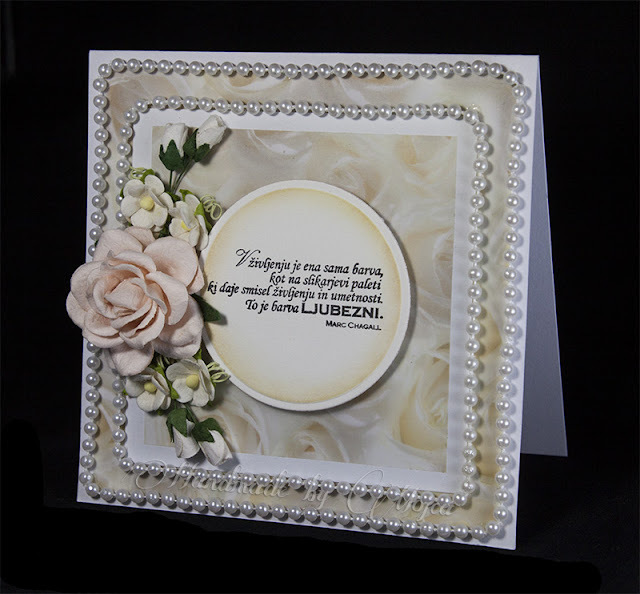 I made a wedding card and the source if my inspiration were cards from a spacial lady Randi from Randi's Lille blog. Go and check her gorgeous creations. Pokukajte še na naš blog in se naužijte inspiracije še od ostalih DT članic ter se nam pridružite na tokratnem izzivu As You Like It. Hop on our blog to have some of lovely inspiration from the DT team and join us at As You Like It Challenge. Kako cudovita in romanticna cestitka. Tako bogata in lepa. Bogata, a vseeno ne preveč. In toliko perlic. Res je enkratna! Posebno lijepe cestitka. Jako mi se svidja. 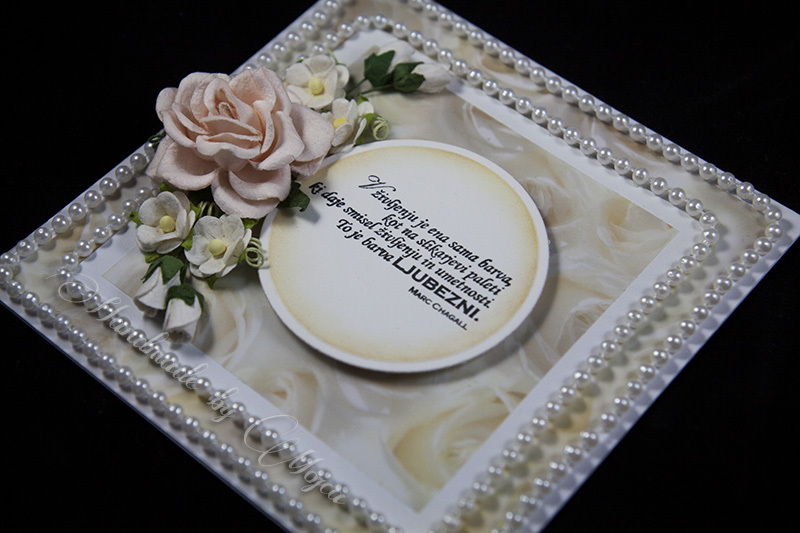 Hi Mojca, this is beautiful, so pretty and stylish. You won my giveaway for the toppers. Can you please send me your address and I will post them out to you? Oh so pretty Mojca. Those pearls are gorgeous.